Dog Day Afternoons was started in September of 1992, by Suzanne Epstein. Her vision was to give the highest quality of extremely personalized service available. In 2019, Suzanne retired and passed the torch (the leash) to P. Tyrone Smith and Rafael Cunha. They are committed to continuing the vision of giving the best service possible to San Francisco dog owners. My number one priority is the safety, well-being, and happiness of your canine companion. As Chief of Canine Care at Dog Day Afternoons, my compassionate, active and personalized approach gives clients peace of mind that their dogs will thrive. I am a Certified Dog Walker and am trained in Dog First Aid and CPR. Together, with the support of my husband, we look forward to providing reliable and trustworthy care. My connection and love for dogs started when I was a young boy, growing up in a small Brazilian town called Ipora. Over the years that love has grown, and I have been fortunate enough to always be surrounded by a pack of pups. I have a degree in Computer Science and learned English as a second language. Over the past seven years, I have worked in various fields, which has broadened my horizons and given me new skill sets. In 2017, I left Brazil and moved to San Francisco where I met and married the love of my life, P Tyrone. I’ve always believed in the unstoppable power of doing good. 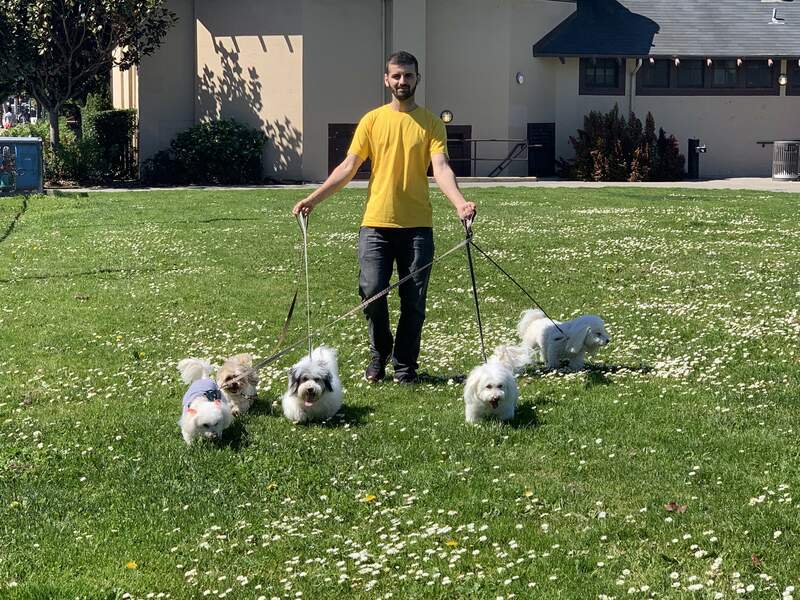 As the Chief of Canine Operations for Dog Day Afternoons, my goal is to help clients enjoy an easier life with their canine companions and to ensure that the day-to-day business runs seamlessly. 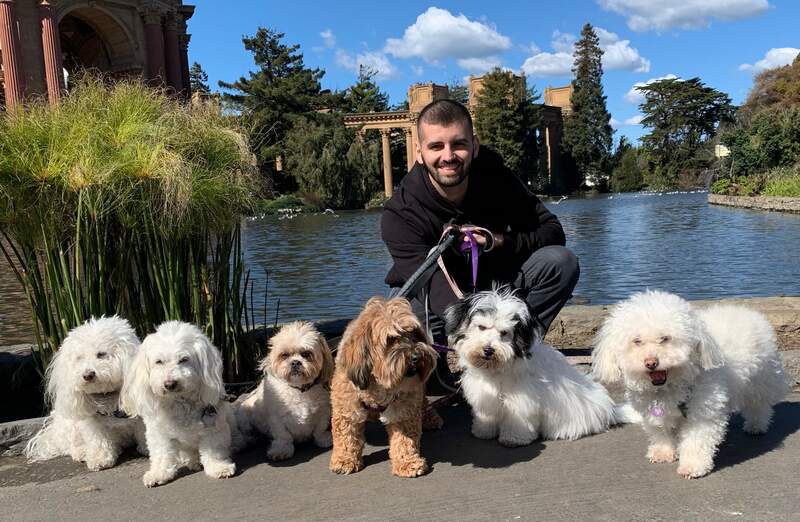 My husband is the light of my life and caring for and loving all these pups is one of our greatest adventures together. I bring a strong sense of excellence to the forefront and understand that your dogs are an integral part of your lives...they are family. I started and have successfully run three companies and have personally co-founded three nonprofits. I am a do-good kind of person and not just for people, for animals too. I am trained in dog First Aid & CPR. 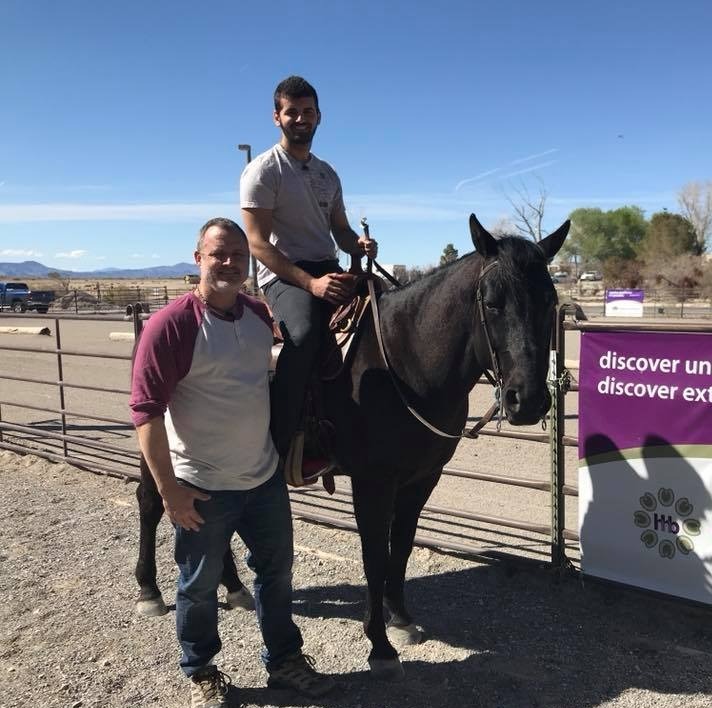 As a fourth generation Nevadan, I grew up on a two-and-a-half-acre equestrian ranch with my mom and sister and had a plethora of animals in my life, including dogs, cats, chickens, lizards, and even an ant hill or two.